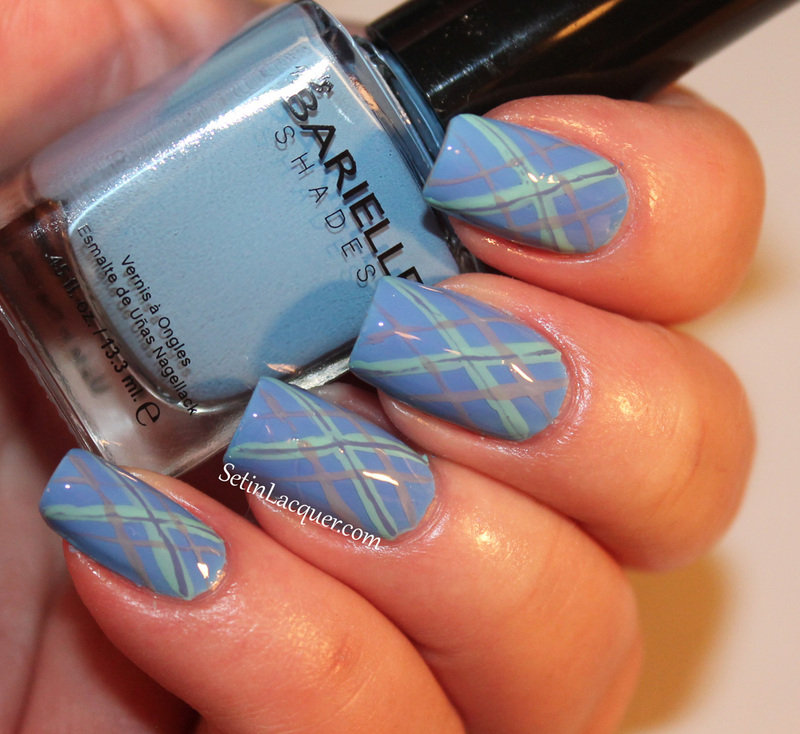 I received the Barielle Vibrants for Spring 2014 Collection and had to find a way to use them in nail art. I decided to try a plaid look. I love how the colors look together. I probably should have used nail art tape to get straighter lines. But I just didn't have time. So I used a striping brush and freehanded the stripes. No one gets as close to my nails as my camera does anyway. Check back tomorrow to see swatches of the collection! I love the Spring themed colors. For the plaid, I used First Class Ticket as a base color. I love this rich, yet pastel, blue shade. I also used Money Talks, which is a gorgeous pastel mint shade; My City Apartment, which is a stunning light gray; and Designer's Shoe, which is a glorious lavender shade. I love how the colors complement each other! The formula is great and they worked great for nail art. I normally use acrylic paint for nail art, but these colors called to me. I can't wait to see how this collection inspires you! You can buy these polishes at Barielle.com for $8 each.